Herrin explores an everyman’s quest for retribution for overwhelming political violence in his latest novel (after The Lies Boys Tell; The Unwritten Chronicles of Robert E. Lee). Long considered a man of dreamy inaction by his ex-wife, 48-year-old Kentuckian Ben Williamson undergoes a sea change when he travels to Madrid to understand the death of his daughter Michelle, killed three years earlier in a Basque separatist terrorist act while she was studying abroad. . . . culminates in a confrontation with an unexpected and emotionally satisfying outcome that stays true to the scar of terrorism. . . a subtle, suspenseful treatment of a personal response to terrorism. Ben Williamson has lost a daughter. While studying abroad in Madrid, Michelle Williamson was caught in a bombing by Basque separatists, a bombing that killed her and several members of the Guardia Civil at a post in a park. For Ben, this act of violence has left only questions, and at a moment of despair he decides to seek out the reasons for Michelle’s death. As Ben begins to learn about the endless tensions beneath the surface of Spanish culture, he finds that he wants someone to answer for his loss. Ben’s other daughter, Annie, is also wrestling with the loss of her sister. When she follows her father to Spain, she finds a changed man. Haunting and beautiful, House of the Deaf is the story of one man’s brush with terrorism and his quest to find answers. A summer evening and he had been walking among the crowds around the Puerta del Sol. He’d felt some pressure from behind, a faint nudge, and then an even fainter nibbling in his hip pocket. The plaza was well-lit, the crowd, perhaps, even more numerous than normal. He found he was able to whirl and, all in one motion, seize the wrist of the young man who had his fingers in his hip pocket. He had never moved that quickly or coordinated two motions that successfully before. It had been so deftly done no one seemed to notice anything out of the ordinary. The crowd flowed around them and he was left squeezing the thin wrist of a young man who was a boy of no more than eighteen. When the boy tried to break and run, all Ben had to do to keep him there was squeeze some more. If he’d needed to, he felt sure he could have snapped the bones. Neither of them said a word. The boy had startled, extraordinarily alert eyes. In the streetlight’s orange glow his face was jaundiced. It rose out of the shadows along the crest of the nose and the point of the chin. He had a predator’s face. He looked like a fledgling hawk. With his free hand, the boy tried to pry Ben’s fingers loose. He tried to scare him into thinking he could draw a knife from his pocket or simply hit him on the side of the head. At no time did their eyes part. The boy’s might feint or flinch, but there was a shaft of sight right down the center where he and the man he’d tried to rob were locked. When Ben released the wrist he did it by stages, and when he let go of it entirely it was as if he were telling this fledgling pickpocket, Now, now you can fly. Lamar Herrin is the author of four previous novels: The Unwritten Chronicles of Robert E. Lee, The Rio Loja Ringmaster, American Baroque, and The Lies Boys Tell. His short stories have appeared in The New Yorker, The Paris Review, and Epoch. Herrin is also the recipient of a grant from the National Endowment for the Arts and is a professor of creative writing and contemporary literature at Cornell University. 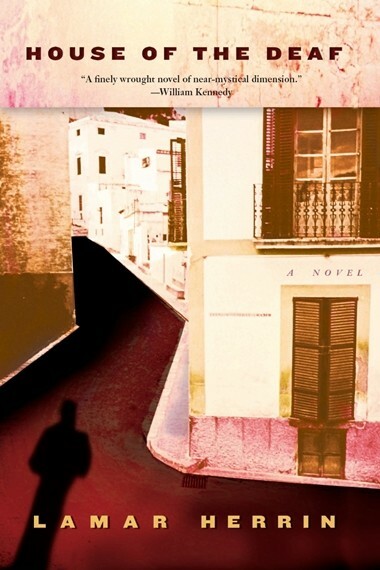 His memoir, published by Unbridled Books, is Romancing Spain.